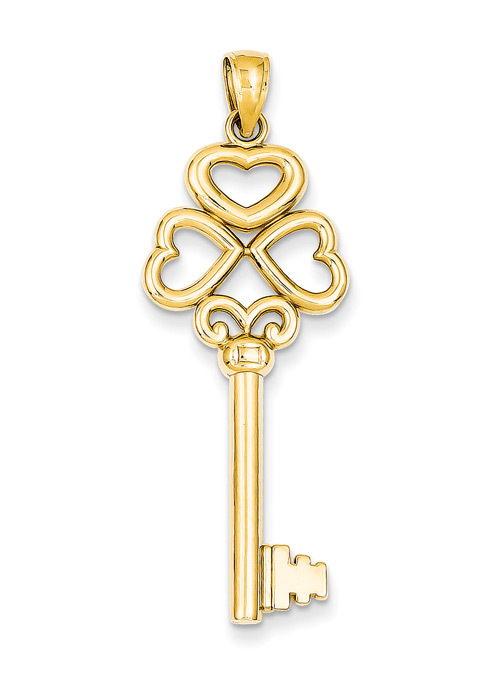 A 14k yellow gold heart shaped key pendant made for the one you love. The pendant measures approx. 47mm tall (1.85") x 15mm wide (0.59"). Weighs approx. 4.53 grams of 14k solid gold. We guarantee our 14K Gold Heart Key Pendant to be high quality, authentic jewelry, as described above.